Ever get nailed by a traffic camera? Here's a brilliant way to get out of paying the fine: report your car as being stolen. It worked pretty well for one Australian man, who did it more than 20 times. Until the courts found out, anyway. 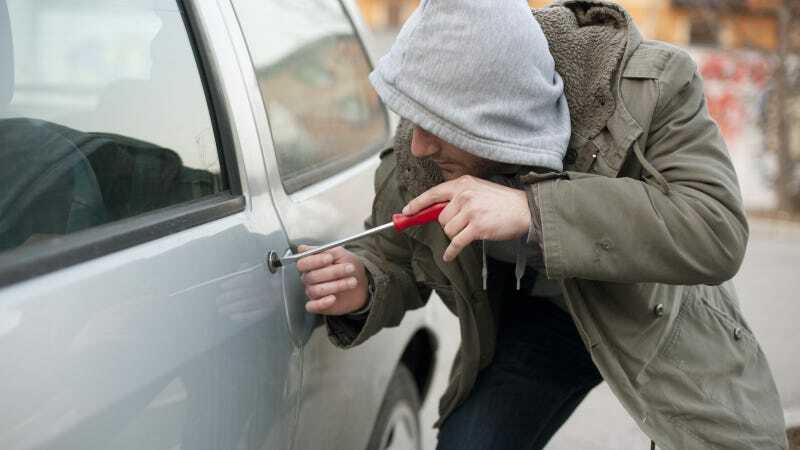 According to the Geelong Advertiser, 64-year-old retired electrician Mario Hili faces fraud charges after a court discovered that he had reported his car as being stolen 21 times since 2000. Each time, he would "find" the car himself after it was "stolen," which coincided with a fine he had received in he mail for speeding or running red lights, which were caught on camera. He also avoided any points on his license this way. The newspaper's story doesn't go into detail on this, but I'm assuming that Hili told the courts that the car had been stolen and someone else was driving it when it was caught on camera breaking the law. It's pretty clever. But like any good scheme, Hili made the mistake of doing it too long, and that's when he got caught. Anyone care to try this in America? If you do, let us know how it works out.